There's always someone ready to help. ...On My hand fell a drop. and whispered something in My ear. and wiped off all your tears. You smiled and the sun shone at the sky. I took your hand and led you on. But you have to learn to walk. I will be near to help you again. 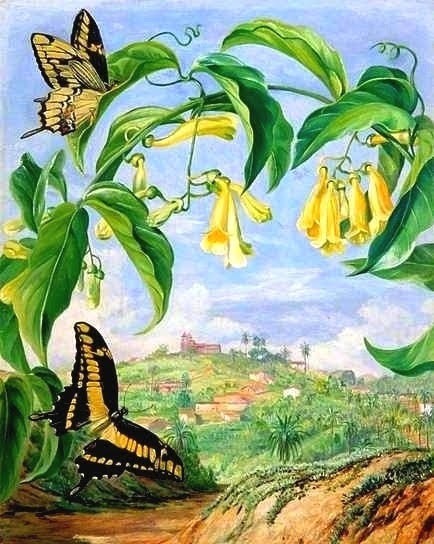 * Painting "Yellow Bignonia and Swallow-Tail Butterflies with a View of Congonhas, Brazil" by English artist Marianne North, circa 1873.